Democracy is a fair system in which the people get the leaders they deserve. Nigeria is a perfect example to fit into this description as our political office holders who are ambassadors of our paper-perfected Democracy are perfect reflections of our societal standards and what we stand for as a people. Why call our leaders idiots when we are bigger idiots? Why call them corrupt, when we are like them? Our failed democracy is nothing but a result of inconsequential decadent hypocrisy and insalubrious sentiments that majority will always bring into everything especially when money is involved to buy our conscience and make us wave our sense of judgement. After the Last Presidential media chat, it became clearer that Nigerians lack the grace and acumen to advocate for change, we are talkers not doers and it is fair for any one to say; we don’t deserve good governance yet and not anytime soon. The incumbent administration is going to be 3 years old in office by 2014 and 5 years in total from the 2 years passed down from the Late Umaru Musa Yar’adua, we don’t need the United Nations, Transparency international or Amnesty International to tell us that in the past 3 years our Nation has been in a state of anomaly and almost heading for doom, a casual perusal and meticulous analysis of the subject will tell us so. In the last decade, N21 Trillion has been said to have fled the shores of Nigeria, the fuel subsidy was a total scam and innovations such as the SURE-P failed before they even got started, the last 3 years has threatened us with insurgency and incessant corruption cases. The incumbent administration has failed in totality to address the major areas creating inferno and chaos in the Nation, instead they have exhibited great parochialism by playing politics while burning issues loom and threaten the sovereignty and unity of the Nation, yet we have people who are ready to fight you just for pointing out several incontestable fact that the PDP and the present administration has derailed the Nation 16 years backwards even if records show that I voted for the same people I criticise, their loyalists will accuse you of being blinded by religious sentiments. This is totally abysmal and uncivilized, to say I can’t spell out the ills of my government because I don’t share the same religious beliefs as majority of them. If Nelson Rohlil-Ahla Mandela was a Nigerian, Nigerians will play tribalism and regionalism even when the state of the Nation is at stake, who cares? Nigerians are entertained by politics of backwardness and slavery, that is why despite the heinous atrocities of Late Gen. Sani Abacha against Nigerians and Nigeria, he is still being worshipped and praised by a vast majority of people in the North Like wise Lieutenant Col. Odimegwu Ojukwu in the East. In this zetgeist it is saddening that our politics is still being fraught with sentiments instead of important National issues, this is why our kingdom keeps crumbling and falling. Nigeria is still one of the very few countries in Africa where political officers campaign with feeble projects such as bridge and road construction, portable water and Health care facilities after all we are educated illiterates who do not understand what “basic social amenities” means. Our politicians care about the hungry when they are voters and only care about the naked when they are women. We sell our votes for items as small as pack of maggi, bag of rice and in most cases for nickel and dime oblivious that selling our votes out is selling the future and our coming generation to continous slavery. Our politicians continue to offer such items because of the certainty that we are like them, we are what they are and what differentiates us from them is just time. while other Nations are moving to 2014 next year, Nigeria Is just stepping into 1961. This is hysterical but true. The recent open letter of former Head of State General Olusegun Obasanjo to Dr Goodluck Jonathan has nothing to do with Nigerians, we are just being overtly partisan over paper-transactions (fraught with intentional and political innuendos) between a former president who ran a Nation of gorilla warfare and Lion-ist modus operandi and a serving one that runs a government of the elites and commitees where corruption is the currency for trade. Instead of dwelling on how to reclaim our Nation from these people in 2015, who have not even an infinitesimal idea of what the masses are going through. We stay analysing and looking for ways to take sides with them. It is disheartening that Nigerians are pleading with Obasanjo to help us stop President Jonathan from his 2015 ambition, this is to tell you that our powers as voters is zilch and has no effect on our democracy, we don’t need OBJ to act for us, if majority are dissatisified by his (GEJ) leadership, our votes should speak for us in unison. Allowing the same people interfere for us insinuates that Our fate, freedom and rights are being compromised, yet we are positioned to observe while we sing praises of them because they are from the same region as us. One day at a gathering in Addis Ababa in Ethiopia, a friend of mine told me that after he saw the natural resources possessed by Nigeria and our history of bad governance, that it is appropriate to say, Nigeria is not a Nation where heroes can be made, and it is going to take time for us to realise that we have the power to be better than the United States and China. Yes! Nigeria can’t possibly make heroes because the youths are bothered more by relationship status than the state of their Nation, we are obsessed with trivialities and enslaved by materialism that greatness has lost its adequacy in our hearts. How can you demand for your rights when you live wrongly, a revolution starts with individuals doing the right thing. God did not send a prophet to lead the egyptians, they recognised their common enemy and proceeded. Muyideen Mustapha the 23 years old boy that passed away during the fuel subsidy protest in Kwara has been forgotten, his name blown with the dust on streets and sadly no place in history for him. Is it not true that we are not a Nation of heroes? While we anticipate 2015, we should go back and look at the journey from 2011 till date, majority elected Mr President, he clearly represents us, so when we rain abuses and curses on him we should remember he is a product of our own system, the same society that made us, shaped him and we must learn to appreciate that fact. The change we anticipate in this Nation, the utopia we dream of will only be a product of our individual-patriotism. Let us know our places, we should know that this is NIGERIA and we are Nigerians. Let us not seek the APC answer or PDP answer, let us not seek, the North, the South, West or East answer, Let us not seek the Christian or Muslim answer, let us seek for the right answer, Let us not seek to fix the blames of the past, let us accept our own individual responsibilities as citizens of tomorrow for the future. NIgeria belongs to us all and the earlier we put aside our prejudices, sentiments and bigotry aside, the better for us all. We can blame our pasts leaders for our present state, but we should be ready to blame ourselves for the failures of tomorrow. We must put aside our religious and ethnic sentiments and move forward without regression, although success may not be guaranteed but we must advance towards the path that will positively reshape Nigeria in the future and anything short of this is inadequate. The next general elections in 2015 is just 16months away and to get it right then we must start doing the right things now, ask the right questions, stop being blind loyalists and act right, the enlightened ones should let the less enlightened know the dangers and consequences of selling votes and helping politicians rig elections, because if we don’t do these, Nigeria might get worse with each elections. What atrue and sad diagnosis of our predicament. Until we rise and take our collective destiny in our hands and rise up to be doers and not just disgruntled complainers, we will remain in this pit. 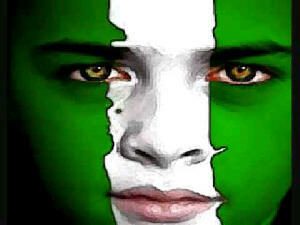 Nigeria is greater than our religious sentiments, tribal prejudice and parochial glutony. A great nation can only rise when a people take responsibility of their actions and become reponsible. The best time to take our destiny back is now, the next best time is never, if we continue doing it the same we we’ve been doing it since 1999 we’ll continue to get the same result.